“Warner Bros. Home Entertainment provided me with a free copy of the 4K UHD I reviewed in this Blog Post. Plot Synopsis: Harry Potter (DANIEL RADCLIFFE) is a boy who learns on his eleventh birthday that he is the orphaned son of two powerful wizards and possesses unique magical powers of his own. 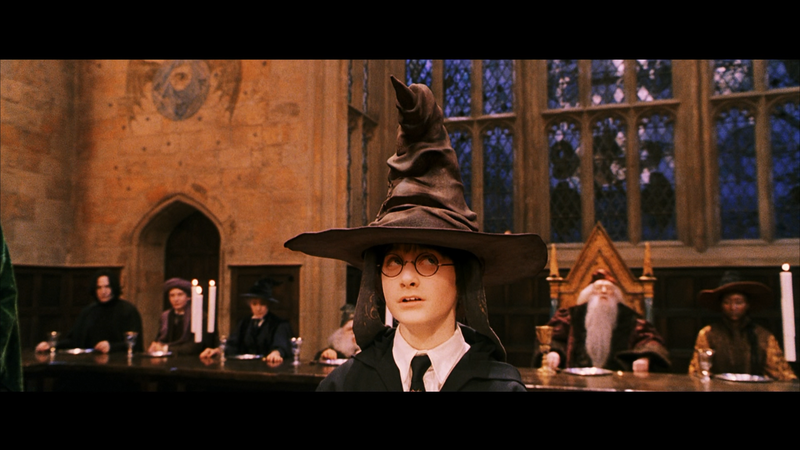 He is summoned from his life as an unwanted child to become a student at Hogwarts, an English boarding school for wizards. There, he meets several friends — Ron Weasley (RUPERT GRINT) and Hermione Granger (EMMA WATSON) — who become his closest allies and help him discover the truth about his parents’ mysterious deaths. 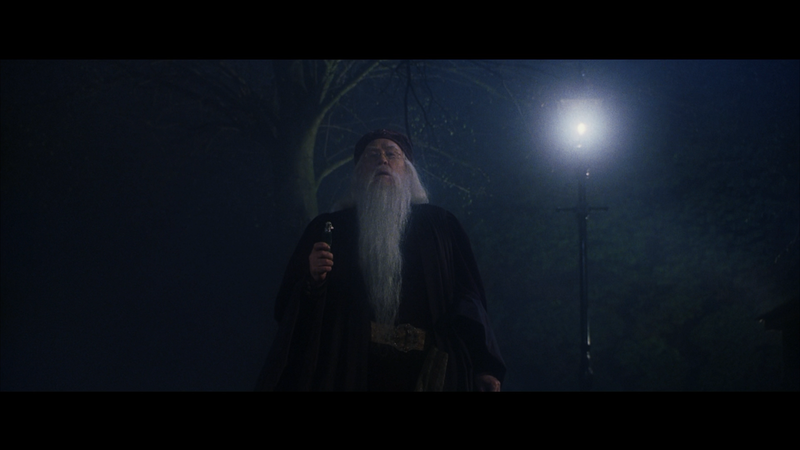 Quick Hit Review: I’ve probably seen Harry Potter and the Sorcerer’s Stone a handful of times over the 16 years since its release and although it’s not my favorite of the series and has a few pacing issues, it still does a great job of setting up the ensemble cast who will be important over the seven films as well as the all around world of wizards, witches and creatures at large. Of course, what really drives the film is the brilliant casting of the unknown cast such as Daniel Radcliffe (to think Macaulay Culkin was considered apparently), Rupert Grint and Emma Watson, not to mention the likes of the late and greats Alan Rickman and Richard Harris (as good as he was, kind of preferred the warmth of Michael Gambon a bit better) amongst others as the Hogwarts’ staff. The film was directed by Chris Columbus and he seemed like the perfect person to launch the franchise bringing a family-friendly fantastical world before the series would take a darker turn starting with Prisoner of Azkaban. 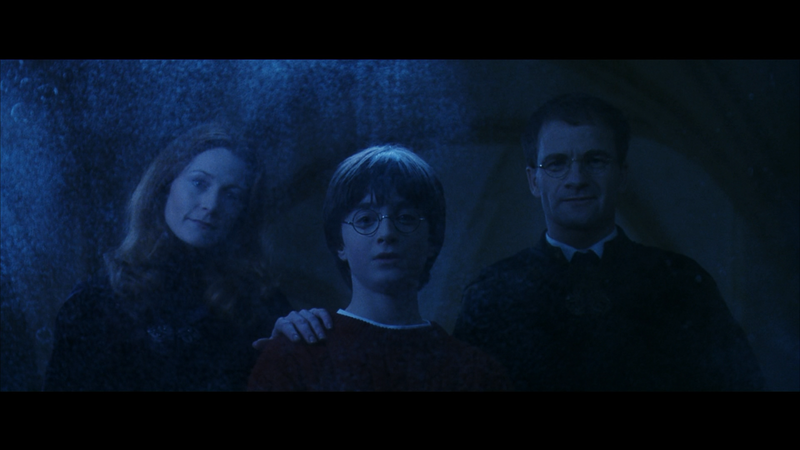 All in all, while not perfect and as an outsider who has never read any of the books (I do own them), Harry Potter and the Sorcerer’s Stone is still a well done film that the entire family can enjoy and still holds up nicely all these years later upon multiple viewings. No features. This disc contains the theatrical version. Extended Version (2:38:50; HD) – This cut contains about 6 minutes of footage and as I recall, it was nothing all that extraordinary, in fact it mostly contains deleted scenes re-inserted in the film. In-Movie Experience – Director Chris Columbus offers his insights into entering the world and delves into the casting and how certain scenes were shot all with some picture-and-picture images and pop-ups as aid. Introduction by Daniel Radcliffe (1:54; HD) – The actor/star introduces us to the various special features. 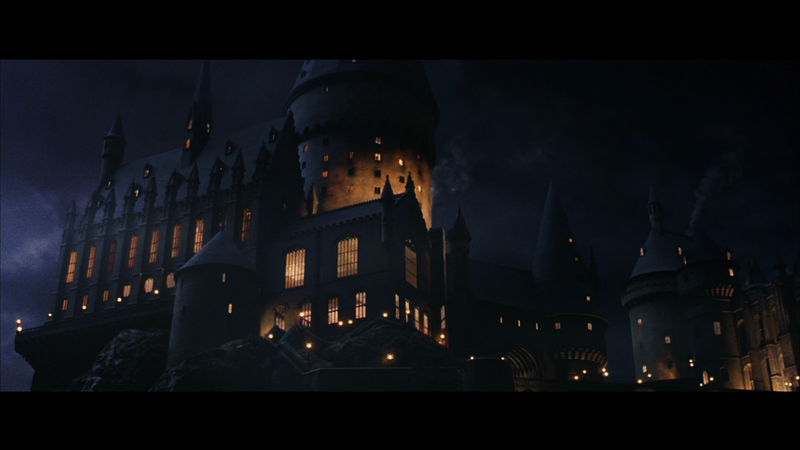 Creating the World of Harry Potter, Part 1: The Magic Begins (1:02:47; HD) – Discover the story of how one vision for the Harry Potter films came together out of limitless possibilities to create the visual world we have come to know and love. A Glimpse into the world of Harry Potter (9:15; SD) is a 2001 international television special featuring some behind-the-scenes footage and on-set interviews with the cast and crew. Deleted Scenes (9:36; HD) – 7 scenes are featured here that failed to make the theatrical cut but mostly were on the extended version. Rounding things out are three Theatrical Trailers and 15 TV Spots. 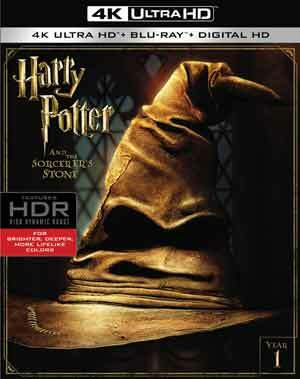 Harry Potter and the Sorcerer’s Stone finally makes its way onto the 4K format after the last four movies got the treatment earlier this year. The movie is presented in its original 2.40 widescreen aspect ratio and given a 2160p ultra high-definition transfer. Doing a comparison between the Blu-ray and now this UHD, there is a nice upgrade as detail is a tad sharper and thanks to the HDR somewhat better and more vibrant colors. Another upgrade is going from DTS-HD Master Audio 6.1 to DTS:X, so you do get a couple extra channel to boost the audio. There is a nice range here from the quieter moments to the action scenes, such as the Quidditch match where you can hear the roars of the crowds reverberating throughout the room. Dialogue levels are also relatively impressive being crisp and clean although on that front this is more or less similar to its Blu-ray counterpart. 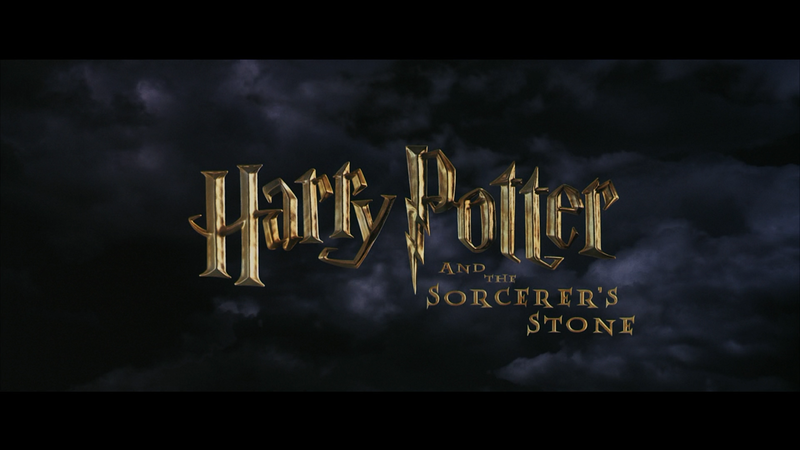 Overall, Harry Potter and the Sorcerer’s Stone might not be perfect, it was however the perfect way to introduce audiences to this world and characters we would follow for the next several years. Even so, I was thoroughly entertained and they really did a great job casting the three unknowns and surrounding them with some excellent talent. This 4K release offers up great video/audio transfers and all of the features from the UCE are included here.